Dendy and Legg Mason have both kicked off the week by installing new marketing leaders across A/NZ. Cinema chain, Dendy, has brought on Freeview TV’s marketing director, Scott Mota, as its new head of marketing. Mota has spent the past two years as marketing director for Freeview, working on strategies to grow the group’s FreeviewPlus digital and mobile TV offering. He was also responsible for the recent ‘Keeping up with the Freemans’ branding campaign. 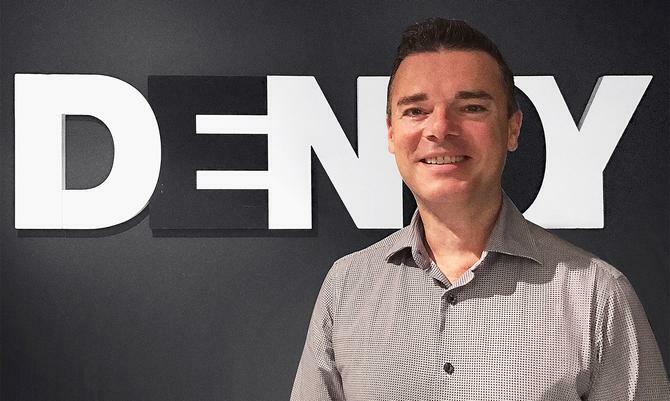 As head of marketing at Dendy, Mota will oversee the Dendy cinema chain as well as its growing Dendy Direct on-demand platform, which launched in 2014. He reports to Dendy CEO, Greg Hughes, and replaces Kate Stapleton, who has left the group after eight years to relocate to northern NSW. Prior to working at Freeview, Mota held marketing positions for the Lifestyle channels at Foxtel, as well as Hasbro, Warner Bros and 20th Century Fox. Dendy is part of the Dendy Icon group, owned by Mel Gibson and Bruce Davey. Elsewhere in the financial service space, Legg Mason has confirmed Felicity Nicholson as the global funds management firm’s new head of marketing for A/NZ. Nicholson is reporting to managing director, Andy Sowerby, and will be responsible for the strategic and marketing communications programs for Legg Mason and its affiliate network.She replaces Anthony Pesutto, who left at the end of 2016 after nearly nine years with the group. Most recently, Nicholson was head of marketing for Hastings Asset Management, where she oversaw brand management, along with global marketing and communications strategy. She’s also been head of marketing for platforms and investments at MLC, and has a history with several consumer brands including CFS and Suncorp. Sowerby said Nicholson’s extensive experience in global funds management made her an ideal candidate to lead and develop the Legg Mason brand. “Her deep understanding of needs and perspectives of clients and the broader funds management industry, as well as her proven strategic leadership, will be a significant asset to our team,” he said. Nicholson noted Legg Mason’s affiliates, including Western Asset, Brandywine Global, QS Investors and Martin Currie, and their reputation for product innovation and proven investment solutions. “I am excited to work with this team to increase the understanding of what we have to offer to investors across the Australian equity and bond strategies alongside global equity, global bond and multi-asset offerings,” she said in a statement. New York Stock Exchange-listed Legg Mason operates across 31 countries and has total assets under management of US$710.4 billion.